There are five wine bars in my hometown of Folsom, California. Pretty impressive for a sleepy suburb outside of Sacramento. Of course, when you consider that Folsom is less than two hours from four world-class wine regions (Sonoma, Napa, Lodi/Clarksburg, and the Sierra Foothills) it’s not so surprising after all. 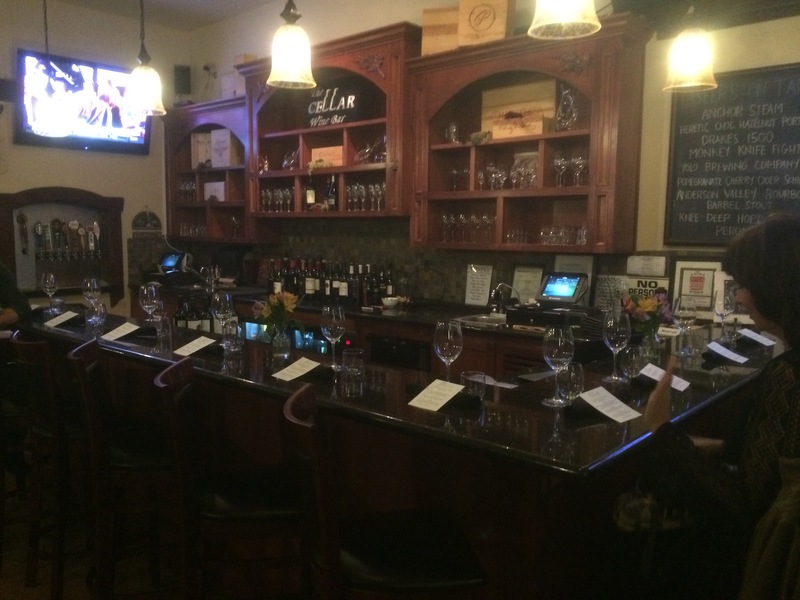 My favorite local wine bar is The Cellar, located in the heart of Old Folsom on Sutter Street. Maintaining its historic Gold Rush façade, Sutter Street is a charming stroll into yesteryear for tourists and locals alike. In addition to the three wine bars in a two-and-a-half block distance, there are taverns, restaurants, art galleries, antique and gift shops, and an old-fashioned chocolate shop. Old Folsom really is a hidden gem. You ought to come see for yourself! Yup, those are beer taps on the left! For those who don’t wine. When I first started frequenting The Cellar a few months ago, their wine list included the most delicious Carménère I’ve ever tasted. The Vina Maipo Vitral Carménère 2012 was full, rich, and smooth. A few days ago I ventured in for a glass of this enticing delight when, to my shock and dismay, I discovered it was no longer on the menu. I shared my angst with Drew, the ever-present and helpful server, and he assured me that the replacement wine on their updated list would not disappoint. I’m a trusting sort, and Drew has never steered me wrong, so I ordered a glass of this new wine: Celler Barcelòna Red Blend 2014. Once again, Drew came through! This wine is spectacular! Celler Barcelòna Red Blend 2014 is made from 50% Grenache and 50% Tempranillo. Hailing from Cataluña, Spain, it is aged 25% in French oak, and 75% in stainless steel and concrete over seven months. Celler Barcelòna was founded by winemaker Russell Smith. Having worked at such prestigious California wineries as Joseph Phelps and Flora Springs, Russell pursued a dream of making wine in Northern Spain. He purchased vineyards in the famed Montsant region, and began production in 2013. Considering how impressive was the 2014 I tasted, this is a winery worth watching for many years to come! Deep purple color. Aromas ripe blackberry and soft oak. Flavors of blackberry, raspberry, and black cherry. Soft oak notes on the mid-palate mingle with soft tannins and light acidity. Long finish of dark berry, chocolate, and spice. Retail price: $16 on the website. I had this wine on its own. It’s great by itself, and it would also pair very well with a variety of foods like tapas, grilled pork, or The Cellar’s amazing cheese plate. If you find yourself in the Sacramento area and want some company for some suburban wine bar hopping, drop me a line. I’d love to show you around! 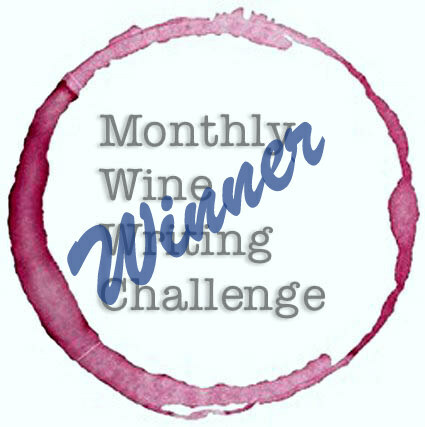 Hi Appetite for Wine, thanks for the follow on Central Coast Wine Writer! My pleasure, Carol! Keep up the great work! Sounds like a great bar to visit! If you’re ever in town, Frank, I’ll take you! You’ll love it!